Nowadays it’s smart to think cautiously BEFORE you open any emails from sources whom you do not recognize. Why?? PHISHING ! Below is a description I found in Wikipedia. It often directs users to enter details at a fake website whose look and feel are almost identical to the legitimate one. 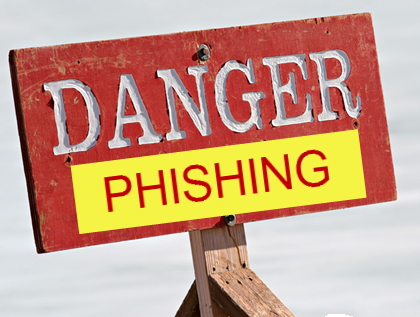 Phishing is an example of social engineering techniques used to deceive users. Exploits the poor usability of current web security technologies. Take a look at the guidelines provided by APWG in order to learn how to protect yourself from this type of Internet crime.